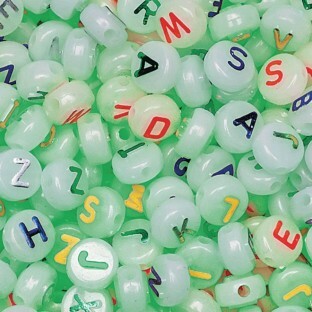 Multicolored foil raised letters on each round bead. approx 600 beads per 1/2-lb pack. making name bracelets at summer camp everyone wants the glow in the dark beads they are the first thing to disappear from the box. We use thi product to make gifts for bingo wins.